Lost and Found! Don’t forget to visit the basement while you are at the school for parent teacher interviews this week. 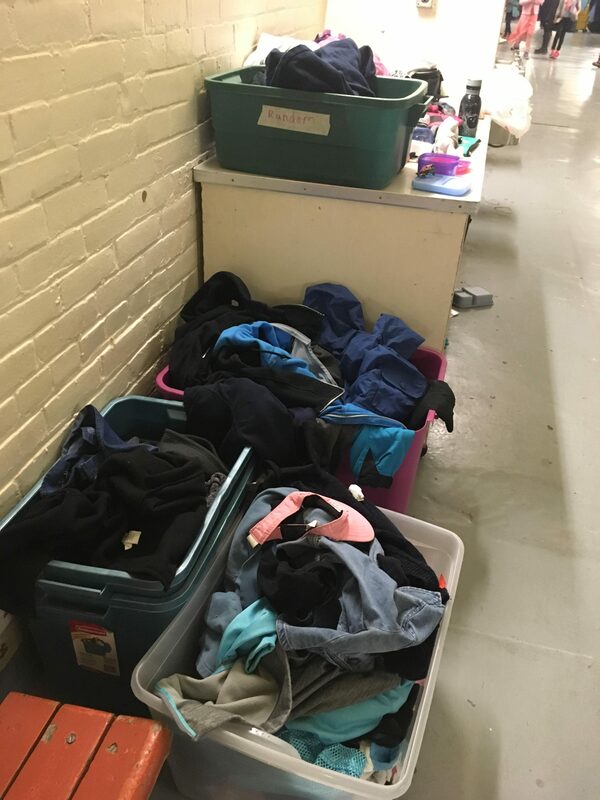 Both the school’s and daycare’s lost and founds are overflowing with hoodies, jackets, water bottles and lunch gear. Today, Wednesday, November 14th – Progress Reports go home. Only one more day until all posters and poems are due for the Remembrance Day contest. Send all entries with permission forms to Rm 30. Good Morning Gledhill! We are here to talk to you about the Enchanted Forest book fair where you let your imagination grow! The book fair starts TODAY, Wednesday November 14th, and runs until Wednesday, November 21st. It is open from 8:30-11:30 each day, but closed at recess. A special family event will take place on Thursday, November 15th from 3:30 until 6:00 (during parent teacher interviews). All students received a flyer with a ballot. Submit your ballot when you visit the book fair on Wednesday, Thursday or Monday for a chance to win $25 worth of book for yourself and $25 for your classroom. The draw will take place Monday after school and the lucky winner will be announced Tuesday morning. Teachers, please sign up online for classroom visits.